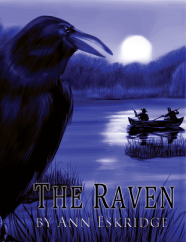 The Raven, is about two young Underground Railroad conductors in 1850’s Ripley, Ohio whose friendship is jeopardized by their exploits. Like the Three Musketeers or the Scarlet Pimpernel, this historical fiction book captures the adventure, danger, and suspense of that time when fugitive slaves were hunted and those who helped them jailed, their property confiscated, or even killed. The Civil War may have ravaged the south, but not the spirit of three generations of women in post-Civil War New Orleans who are determined to survive the best way they know how. For scheming Celeste, survival means marrying off her 18-year old daughter to a rich Creole. For lonely Marguerite, it is finding a man who truly loves her; and for daughter, Hennretta, finding the one person who understands her—her father. Secrets traces several cultural practices, among them Plaçage, which was recognized as the equivalent of common-law marriages between women of African descent and white men. It reveals the machinations of a northern businessman who is trying to become a power broker in the Federally occupied city with the help of a voodoun practitioner. And it illustrates the rigid social circles by which all races and classes adhered to. Thirty years of family secrets, murder and betrayal finally implode when the dark truth surrounding the birth and life of an estranged teenager become known. Echoes Across the Prairie: Secrets Borne in Silence is the first in a two part story that documents a seldom traveled road within New Orleans cultural tradition and the founding of an all-black town in Oklahoma. Rainey Weather is a former middle school teacher who was leading an ordinary life until she fell off a ladder. Instead of going to a doctor, she goes to a healer and becomes one herself. Now, she is immersed in other people’s drama, trying to find a dying client’s missing daughter, battling her psychic friend’s dead husband, and convincing a medium to stay on this plane. Healing means dealing with the known and the unknown and accepting that which can not be changed. But in Rainey’s case it’s more than she bargained for when she realizes that healing has opened up other realms she’s not ready for. She chronicles her ongoing adventures with the living and the dead in The Weather Reports: Eye of the Storm.